SOSVirus :: Free disinfection platform ! Follow the advice of our experts, and clean your PC for free ! UsbFix is an Anti-Malware adapted to the USB infection, it detects and deletes all types of infections that spread through this system. UsbFix is developed by our team. Infected ? Pubs are displayed when browsing on internet ? Data loss ? System Slowdown ? USB Virus ? 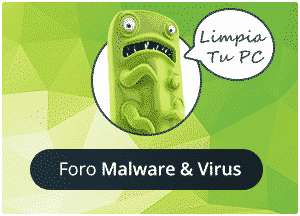 Clean your PC for free with SOSVirus Team ! Bitdefender Total Security 2016 is the ultimate anti-malware protection. It builds on technology awarded PRODUCT OF THE YEAR and uses machine-learning to fight off cyber-threats without impacting your device’s performance. Malwarebytes Anti-Malware will allow you to eliminate most of the malware currently circulating. The interface is very, very simple and very easy to use. The ideal companion for your Antivirus ! CCleaner is a optimization and system cleanup software. CCleaner deletes files so they are no longer used by the system and produce a drop in performance !